Wyndham Destinations has announced the appointment of Barry Robinson to the role of president and managing director of International Operations for Wyndham Vacation Clubs, overseeing operations of the company’s timeshare business outside North America. Wyndham Destinations is the new company established following the spinoff of Wyndham Hotels & Resorts from Wyndham Worldwide. The company has a global presence in 110 countries at more than 220 vacation ownership resorts and 4,300+ affiliated exchange properties. Wyndham Destinations has started trading on the New York Stock Exchange under the ticker symbol WYND. In his new role, Robinson will lead the international growth strategy for the company’s seven vacation clubs: CLUB WYNDHAM, WorldMark by Wyndham, CLUB WYNDHAM ASIA, WorldMark South Pacific Club, Shell Vacations Club, Margaritaville Vacation Club by Wyndham and WYNDHAM CLUB BRASIL. Michael D. Brown, president and chief executive officer for Wyndham Destinations, said: “Wyndham Destinations has developed or acquired more than 220 vacation ownership resorts in the U.S., Canada, Mexico, the Caribbean, South America, the South Pacific and Southeast Asia, serving nearly 900,000 owners of vacation ownership interests. “Every year 2.8 million families entrust us with their vacation dreams. Through our unique brands, flexible ways to explore, and more destinations than any other market competitor, we make it easy to experience and enjoy the most amazing vacations around the globe. Prior to his current position, Robinson served as president and managing director of Wyndham Vacation Resorts Asia Pacific for 14 years, driving significant property acquisitions and enhanced resort developments, and grew the business to become the world’s largest vacation ownership development operation outside North America. He was also responsible for leading Wyndham Hotel Group’s growth across South East Asia and the Pacific Rim. With more than 30 years’ hospitality experience, Robinson has served in a number of leading industry roles covering management, operations, development, branding and franchising. 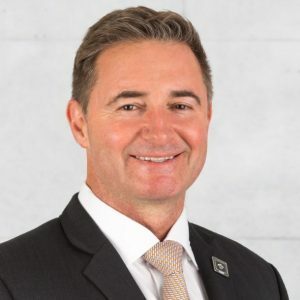 He has held a number of senior leadership positions in the Asia Pacific region for some of the world’s largest hospitality companies, including Swiss-Belhotel International, Swissôtel Worldwide Partner Hotels and Choice Hotels International. “I’m delighted to lead the international growth strategy for Wyndham Vacation Clubs. We’re passionate about the memorable holiday experiences we offer nearly 900,000 families around the globe and our seven vacation clubs offer unmatched travel possibilities,” said Robinson. “As Wyndham Destinations, we will be focused on growing our member base and adding resorts at even more of the world’s most desirable and unique locations. We’ve developed a strong reputation for offering the world’s best and most varied vacation club experiences, which has enabled us to continually expand and develop our offerings. Robinson was born in New Zealand and is an Australian citizen. He will be based at the Wyndham Destinations Centre in Singapore and will oversee three additional corporate offices situated on the Gold Coast Australia, Clark the Philippines, and Shanghai in China.